Seabed Habitats Blog Carnival- Happy World Oceans Day! Happy World Ocean’s Day to you! 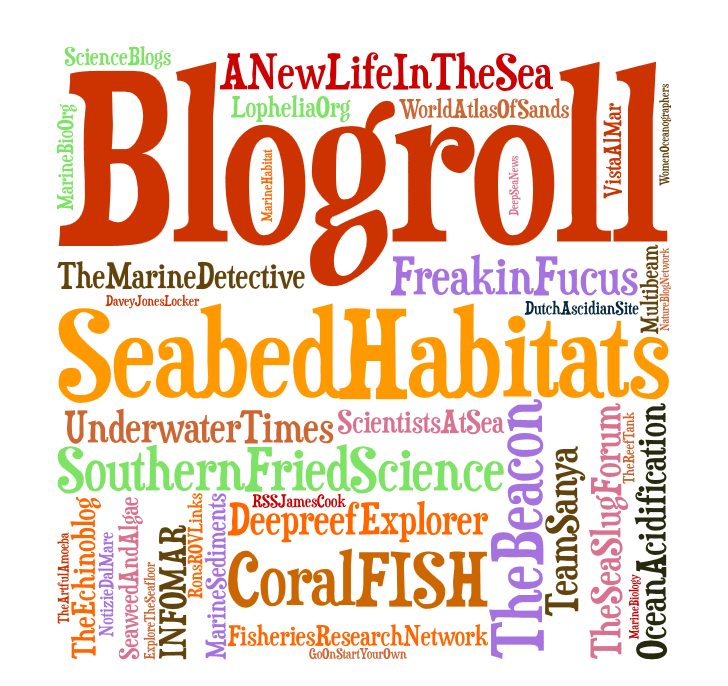 To celebrate this year, we are hosting our Seabed Habitats Blog Carnival especially for World Ocean’s Day!!! Today on the 8th of June, people around our planet Earth celebrate and honour the ocean, which links us all. Hence, here is the anthology of posts nominated or selected for you to enjoy today from a diverse range of bloggers! Love between coral and worm NIOZ News. A couple of years ago, I went on a cold water corals cruise to help a fellow PhD candidate Anna Rengstorf with her data acquisition aboard the Celtic Explorer in the North East Atlantic as part of the CoralFISH project. During this trip, during a coral sampling exercise, we came across, to my amazement, Eunice norvegica, the worm that lives inside the coral, and saw first-hand the love between the coral and the worm! “The relationship between a cold-water coral and a worm is beneficial for both partners involved,” Christina Mueller, NIOZ. Marine Invertebrates MarineBio.org. This wonderful blog introduces us to all the major phyla of invertebrates in simple language. The most common marine invertebrates are sponges, cnidarians (coral, anemones, hydozoans and jelly fish), marine worms, lophophorates (bryozoans), mollusks (oysters, chitons, clams, snails, slugs, octopus, and squid), arthropods (spiders, lobsters, crabs, barnacles, and shrimp), echinoderms (with five-point radial symmetry) and the hemichordates (our closest invertebrate relatives!). Manta Madness- a world famous snorkel experience in Kona, Hawaii, Seaing Blue, Natalie Reichenbacher. Manta rays are large eagle rays, which evolved from bottom-dwelling stingrays, eventually developing more wing-like pectoral fins. Night snorkelling in the moon shimmered Pacific Ocean, Natalie tells us of their flamboyant display with mantas cartwheeling as they feed on the plankton in the water column. They can be seen moving through the water by the wing-like movements of their pectoral fins. Once in a lifetime underwater experience! Conservation of maerl habitats Cornwall Wildlife Trust. Maerl beds in the St. Mawes Bank, Fal and Helford Special Area of Conservation (SAC) include the largest maerl beds in south-west UK. Slow-growing over time, maerl beds are amongst the oldest marine plants in Europe, with beds being up to 8000 years old and are a protected seabed habitat in danger of disappearance. Following proposals of dredging, a proposal to make a Marine Conservation Zone (MCZ) was made. Here, sensitive issues are discussed openly and transparently with marine stakeholders to clarify their stance on maerl conservation and strategies to protect maerl for future generations. Epifauna and their importance in regeneration of the seabed Arran Coast. The Community of Arran Seabed Trust, Scotland are a community organisation working for the protection and restoration of the marine environment around Arran and the Clyde. This guest post discusses life at the benthos and the recoverability following an anthropogenic disturbance, such as dredging and bottom trawling -fishing activity. Epifauna play a role in reducing the three-dimensional habitat destruction due to dredging. What lies beneath? NUI Galway Marine Science Blog. This post by marine geomatician and geomorphologist Dr. Garret Duffy, is about the hidden landscape beneath us- the seabed. It explores some of the physical oceanographic processes responsible for shaping the spatial variability of the seabed and its sediment dynamics. It finishes with a specific example of sediment ‘waves’ in Galway Bay, West of Ireland. Hydrographic surveying in Dingle Bay INFOMAR Blog, Geological Survey of Ireland (GSI). INFOMAR is a joint venture between the Geological Survey of Ireland and the Marine Institute and is the successor to the Irish National Seabed Survey. As one of the 26 INFOMAR priority bays to survey, Dingle Bay was recently surveyed using the multibeam echosounder, aboard the R.V. Keary, M.V. Cosantóir Bradán and the R.V. Geo. The INFOMAR programme is a leading example of a national seabed mapping initiative and application of technologies to answering scientific questions about the seabed. Multibeam Backscatter NOAA Ocean Science. Acoustic Mapping Specialist Will Sautter describes multibeam backscatter as painting a portrait of the seafloor of Grand Reserve of Puerto Rico, to be used for seabed classification. He uses an excellent analogy of the tennis court, with different surfaces of grass, clay, concrete etc bouncing/returning the tennis ball with a different intensity, just like the acoustic signal at the seabed. Smart Sea School in the West of Ireland University College Cork and partners. Marine micropalaeontologist, Margaret Browne writes about her cruise with Prof. Andy Wheeler’s team, to the Moria Mounds, West Porcupine Bank and inner shelf off the West of Ireland as part of the West of Ireland Coring Programme (WICPro). The cruise studied the glacial depositional history and ice sheet limits, using the gravity corer and box corer. Pheronema sea belt and the muddy deep sea Plymouth University. This blog post introduces the Pheronema carpenteri, the bird’s nest sponge, forms dense aggregations in the deep sea, forming a belt at the Procupine Seabight, North Atlantic. The post also describes neighbouring deep-sea habitats and discusses the importance of deep-sea stewardship. It was lovely to find out about this little documented and rare seabed habitat virtually unknown! Image Crown copyright © 2006, Marlin. Ocean observatories ESONET members. An ocean observatory is a a sub-sea networked infrastructure of sensors to measure the physical, chemical, geological and biological variables in the ocean and seabed. The European Sea Floor Observatory Network (ESONET), with the Procupine/Celtic leg, enhances the long term monitoring capability in geophysics, geotechnics, chemistry, biochemistry, oceanography, biology and fisheries in Europe. Coral-covered carbonate mounds of the Belgica Mound Province, north-eastern Porcupine Seabight are main targets for proposed long-term seafloor observatories. Mining at Deep Sea Vents – what are the impacts on marine life? Deep Sea Mining Out of Our Depth. Dr. Jon Copley, University of Southampton asks the question – what are the impacts of deep sea mining on the organisms at deep-sea vents? Increasing levels of experimental deep sea mining are being proposed to take place at vent fields. Mineral extraction at deep sea hydrothermal vents has been proposed by mining companies after “seafloor massive sulfide” (SMS) deposits. There has been a surprisingly mixed response from the deep-sea scientific community regarding conservation/exploitation, however it is agreed that as a minimum, effective regulation is essential for deep sea vent mining, if not a complete ban. Setting Priorities to Conserve Marine Biodiversity Global Partnership for Oceans. This blog post by Conservation International discusses which places globally should be a priority for conservation in the marine environment and how to identify which are the most critical ocean habitats. High diversity – high impact places should be conserved first with analysis of the broad-scale patterns of biodiversity and human impacts. Wonderful initiative towards a global solution to maximise ocean health and to apply in practice. How Bad is Marine Litter? Marine Science Blogs, Cefas. This blog post from Cefas discusses the source of marine litter and quantifying the impacts of plastics and microplastics on the oceans. It also highlights the importance of scientific research blogging and science communication initiatives to creatively and reliably educate the wider public, especially from scientists of the UK government. Poem for Vayda Seamount Tropics- Illuminating the Deep. To conclude, a beautiful poem about the Vayda Seamount, written by Sarah Robinson, as part of the Tropics (Tracing ocean processes using corals and sediments) cruise. An inspirational poem from the deep!! Acknowledgements, sincere thanks and most thumbnail image credits go out to the creators of the posts for taking part in this blog carnival. A special thank you especially to Natalie for sharing her phenomenal experience underwater with the Manta rays! Image credit for Conservation of Maerl Habitats is to Ross Bullimore. Posts are in logical order by subject matter. It has been a joy to create this post- would love to hear your views on this Blog Carnival here!! Also, thank you to World Ocean Day organiser for putting up the details of the event on their website. Happy World Oceans Day to you! awesome selection! 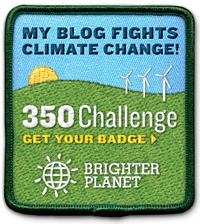 perfect for World Ocean Day blog carnival. Happy surfing! Previous Previous post: Blog Carnival- Calling for your posts! Next Next post: Marmo the Octopus cuts the World Oceans Day Earth Cake! !